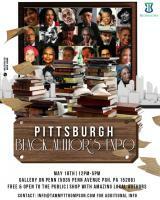 On May 18th, come to Gallery on Penn for a Black Author's Book Expo. There will be local African American authors there selling books, doing open readings, and networking! Come out and celebrate the literary excellence that exists in our city with a day of books, food and music! This event is FREE to attend, NO RSVP REQUIRED.